A stylish knit cuff atop a waterproof suede leather upper and a handcrafted, vulcanized rubber outsole with the classic herringbone tread make this a favorite with the kids. 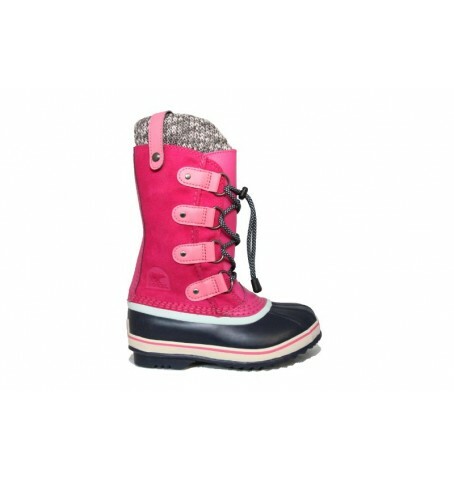 This boot also features a removable, washable and replaceable felt liner. UPPER: Waterproof suede leather upper. Seam sealed waterproof construction. Knit cuff. INSULATION: Removable 9mm washable recycled felt innerboot.